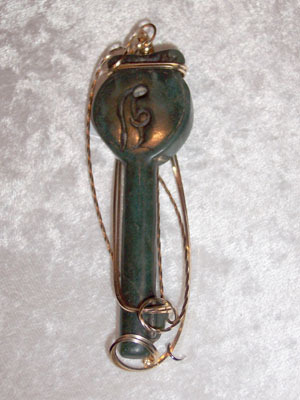 Carved Jade Key Pendant who knows what secrets it will unlock? Sculpted in 14kt rolled gold. Measures 3.5" x 1"